Since 1975, locally owned Homes by Dickerson has been comprised of the most exceptional individuals in the home building industry, each contributing their unique talents to our custom-built designs. Choosing the team who will build your home is one of the most important decisions you will make in your life. You are trusting our team to understand the needs and desires of your family and to weave those values into the foundation for your home. When you partner with the Homes by Dickerson team, you are deciding to build with dedicated and passionate professionals who understand that your home holds all that is dear to you. We are fathers, mothers, artists, teachers, writers, runners and philanthropists. We shop, work, play and live in neighborhoods all across the Triangle area and are proud to call North Carolina our home. We imagine, dream, create, inspire and build by reviewing each detail, striving for the highest level of quality and craftsmanship possible. To us, you are more than just a client. The incredible service you will receive throughout our buying and building process reflects our commitment and our respect for the family and memories you are bringing to the homes we design and build. We look forward to bringing you "The Home of Your Life." 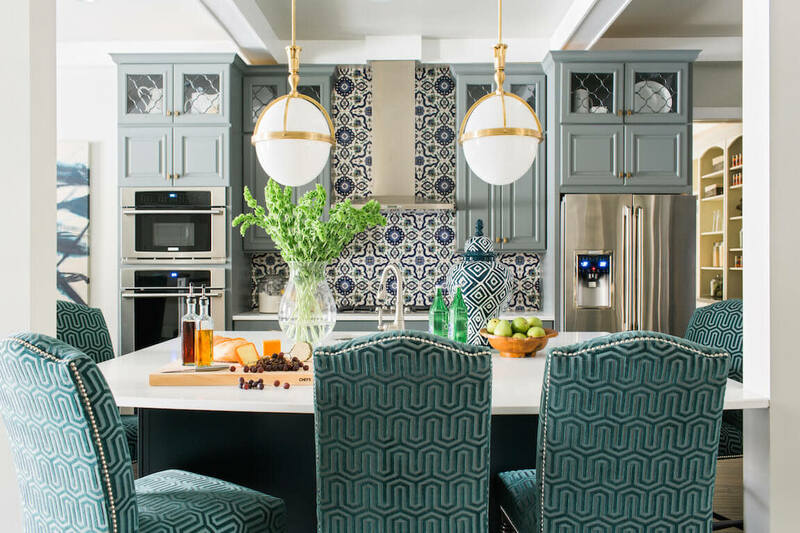 Since 1975, Homes by Dickerson has been comprised of the most exceptional individuals in the home building industry, each contributing their unique talents to our repertoire of custom-built designs. 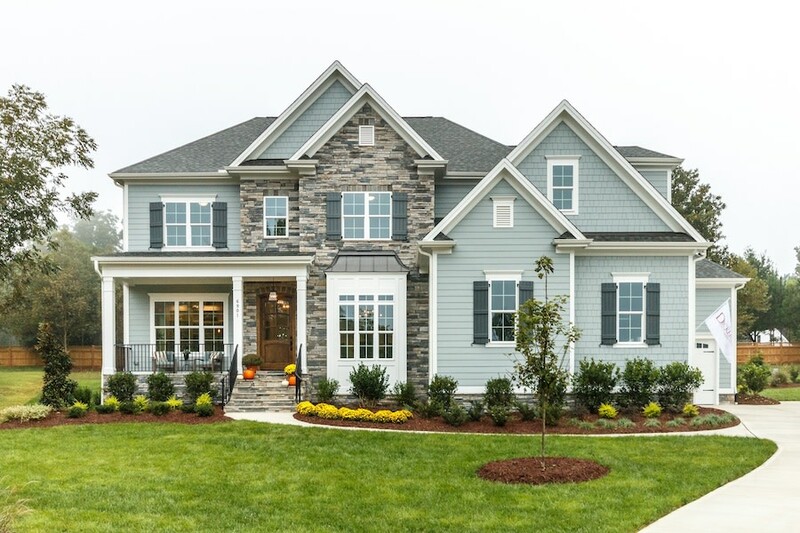 Homes By Dickerson is excited to expand its offerings in the award-winning community of Wendell Falls! Ask us about our newly drafted floorplans featuring park and wooded views as well as casita options! 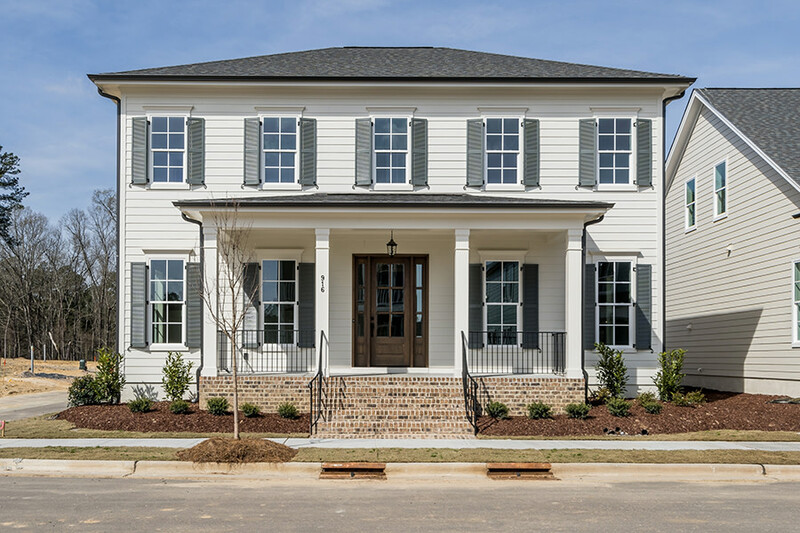 Brick exteriors, beautifully practical layouts, and stunning fits and finishes all await you in the Homes By Dickerson exclusive section of Griffin Square. Prices start from the mid $400s. Also, ask us about the next phase of custom homes coming soon which start in the mid $300s! Come find “The Home of Your Life” in Wendell Falls today! Sign up to be on the VIP list to be among the first to receive updated information! Stay tuned for more information on our newest North Raleigh Community: Papillon Park! 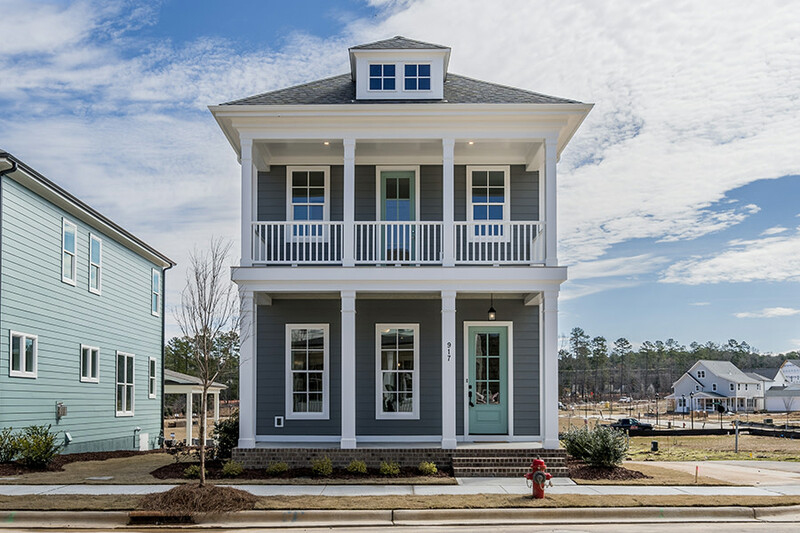 Homes By Dickerson is proud to be a custom builder in Nexton, a master-planned community developed by award-winning Newland Communities and strategically located in the heart of Charleston's growth corridor. Designed to bring life and work into a healthier balance, Nexton is a 21st century place with a vibrant ecosystem of offices, homes, parks, trails, ponds, birds, bicycles, schools, pools, shops and restaurants. 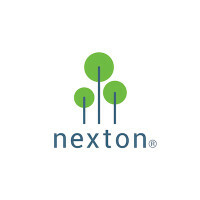 Nexton features a 25-meter competition pool, an interactive splash pad, a covered pavilion, multi-purpose lawn areas, a fire pit, natural open space, paved paths, and rugged trails. 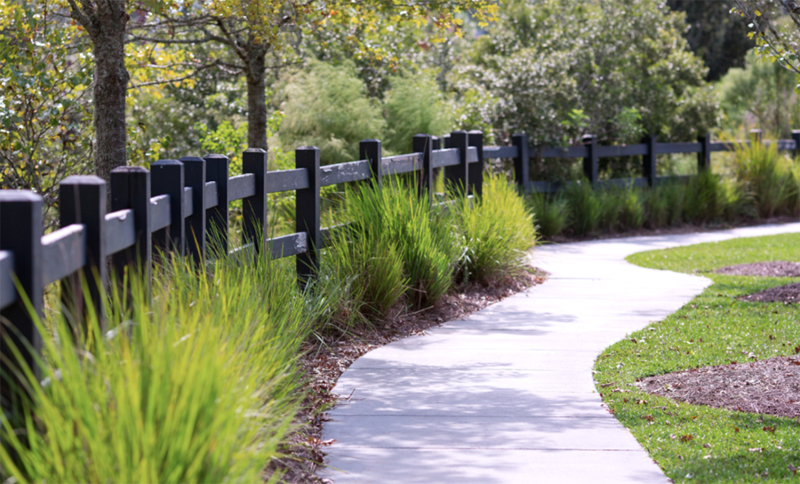 Homes By Dickerson is a supporter of Nexton's focus on the environment and overall well-being of the community. 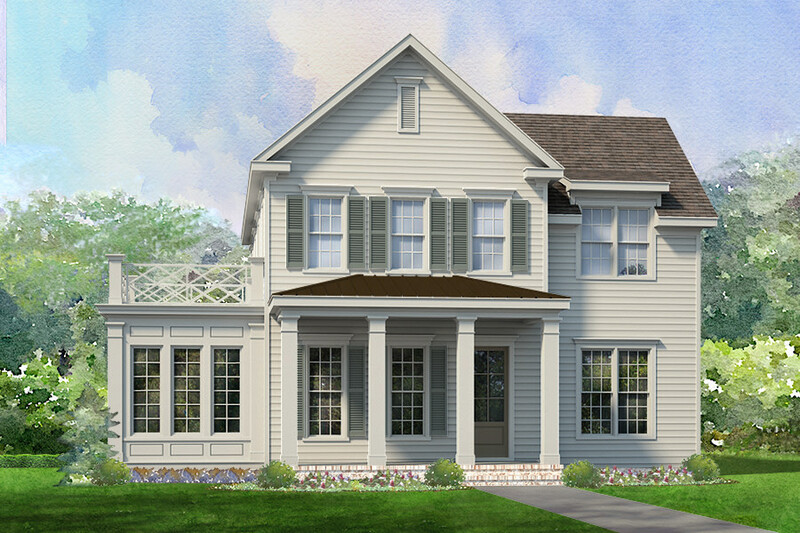 Discover our new single-family home floorplans inspired by Lowcountry style and design, starting in the high $300s. 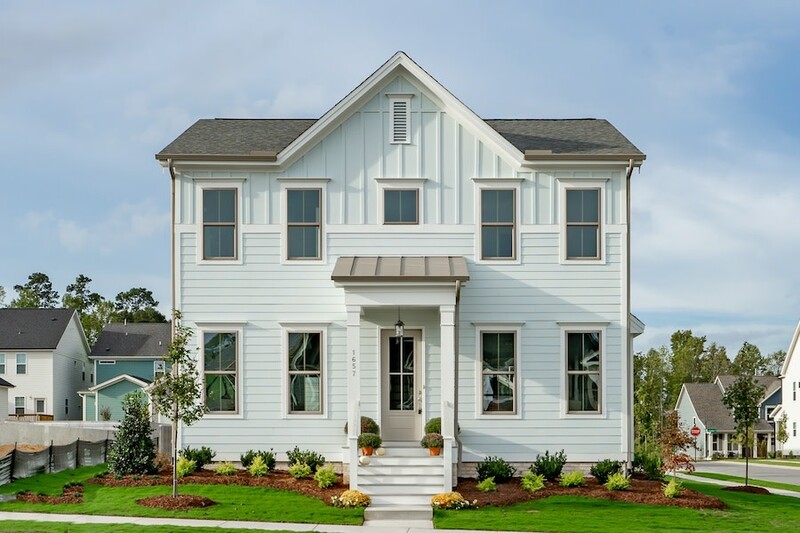 Click here to view our Custom Homes in Charleston! 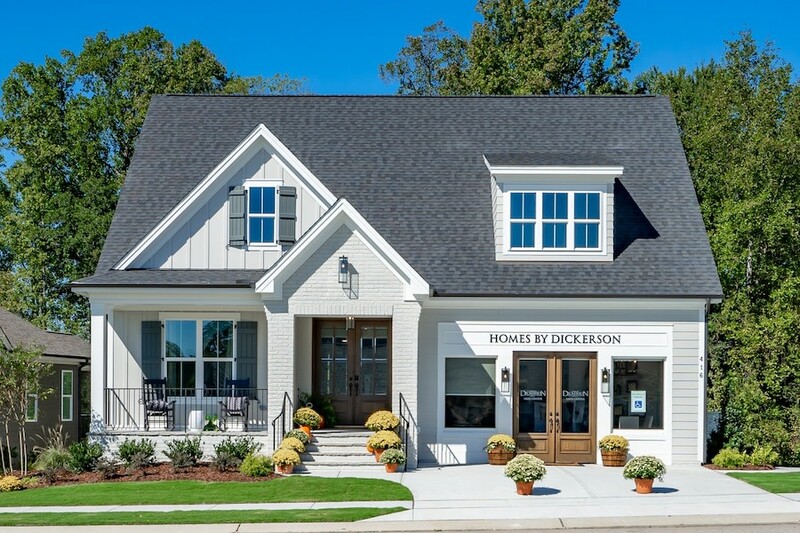 Homes By Dickerson is venturing into a new market, selling home sites and custom homes in the prestigious Pinehurst National No. 9 Golf Course community! Purchase a home site for immediate or future construction while currently taking advantage of a full Pinehurst Country Club Membership! 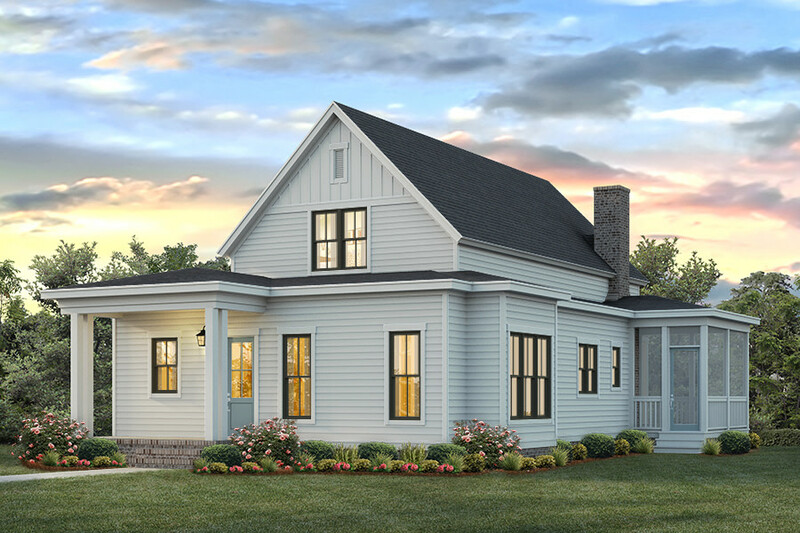 Homes By Dickerson will be offering ranch, cottage, and estate-style custom designs with home sites ranging from $58,000-$130,000 and home prices anticipated to start in the upper $400s. Sign up to receive updated information on opportunities within this beautiful master-planned golf community! Our process includes creating all the design details that will enhance your experience as a Homes By Dickerson homeowner. We consult with you every step of the way, providing you flexibility to customize plans and layouts, with the result that you will feel completely at home from the moment you first step through the door. We ensure that not only will your new home be perfect for you, but that it will also be right for the environment. Your home will be Energy Star Certified, crafted to the National Green Building Standard. We are dedicated to the idea that a high performance, green home is not only better for the environment, but a better, longer-lasting value for you. You will also find we are dedicated to helping our employees become the best. Our commitment to the future and growth of our employees results in an exceptionally loyal team devoted to the service of our clients. Our process creates a home that doesn’t simply hold your life, but enhances and enriches your life through our quality and craftsmanship. As one gratified homeowner put it, “No two Dickerson homes are alike. Each is unique, each is truly special.” Just like the people who live in them. Wherever you are in your life–beginning your profession, raising a family or relishing an empty nest–we will partner with you to create a home that is right for you. We help you create the home of your life. Now that you have met with your sales associate, project manager and architect to sign a Design Agreement, let the creating begin! We know that this home is more than just walls and fixtures, it is the place where you will live your life. It is important for us to understand your lifestyle so we take the time to meet with you and discuss “the nuts and bolts” of your home. We will look at what rooms are needed and not needed, how much space you desire and the look and feel that would best compliment your personal style. 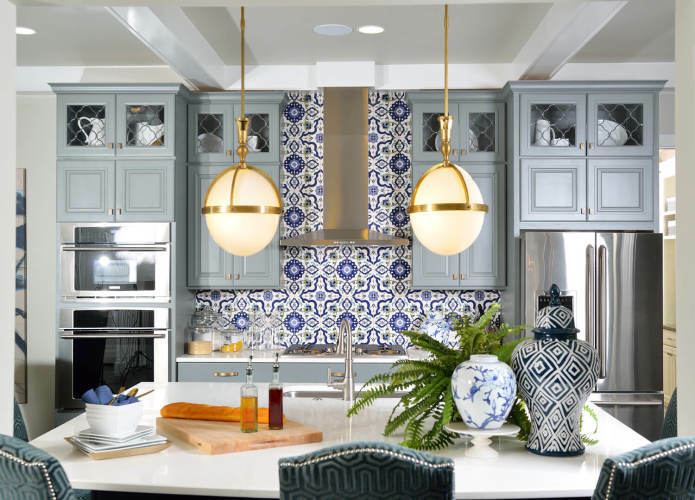 Take a look at the Homes by Dickerson Pinterest page and our online gallery of photos and bring them to the table along with your own ideas and pieces of inspiration! We look forward to creating The Home of Your Life! Our architect will then compile all the ideas agreed upon and translate them onto paper. After dedicated refining and drawing to scale, you will be presented with rough interior sketches and a color-rendered, hand-sketched front elevation of your new dream home. An additional meeting with the team allows you the opportunity to give your feedback and our architect the chance to complete your home design. Upon approval, the home design is sent to drafting and structural engineering review. Now that we finalized the structural elements and interior finishes, we are able to provide you with accurate pricing based upon your home design. We will apply the fee for your Design Agreement to your final purchase price and the team will now begin to bring your home to life! Our process includes creating all the design details that will enhance your experience as a Homes by Dickerson homeowner. We consult with you every step of the way, providing you flexibility to customize plans and layouts, with the result that you will feel completely at home from the moment you first step through the door. Our experienced designers make it a priority to stay current on the latest trends and styles in architectural design and custom features. 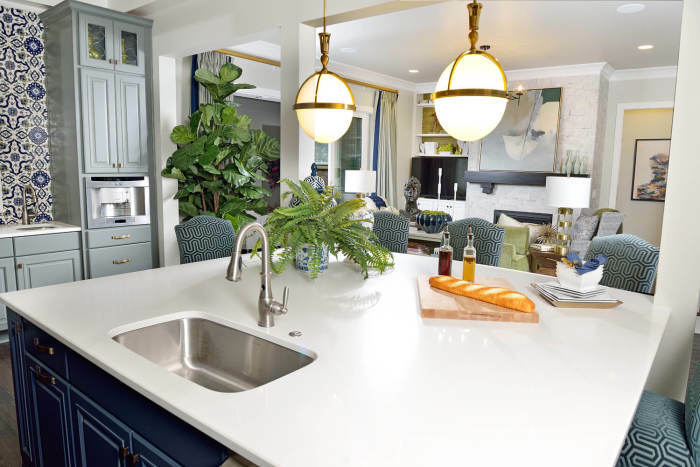 Three different Design Centers located across the Triangle allow us to display an array of quality fixtures, cabinets and countertops, helping you to choose the right interior and exterior selections for your new home. 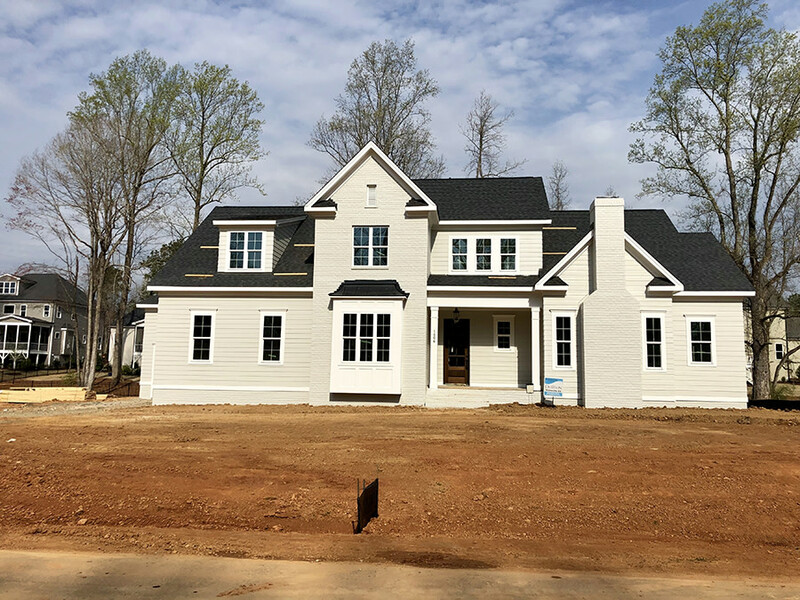 Treating the construction of each home as if it were our only one is what truly sets us apart and helps explain why Homes by Dickerson is recognized as the premier builder of the finest custom new homes in the region. Our team of dedicated professionals will guide you through the design process ensuring all of your expectations are met. Each home is designed specifically and individually by you, allowing your own unique style to shine through. At Homes by Dickerson our goal isn't just to meet your expectations, our goal is to exceed them. 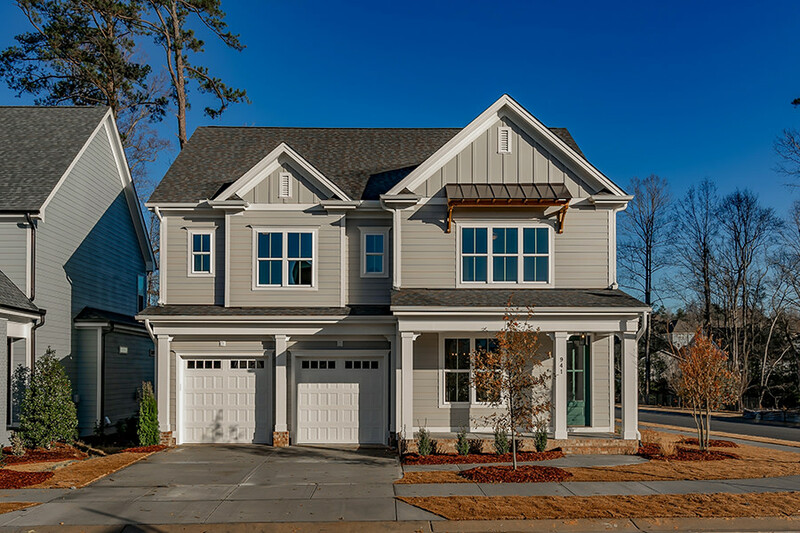 Homes by Dickerson builds high performance green certified new homes in some of the most prestigious and centrally located neighborhoods throughout the greater Raleigh, Durham and Chapel Hill metro areas with communities also in Pittsboro, Wendell, Wake Forest, Apex and Fuquay-Varina. We are also very excited to announce our newest ventures, building custom homes in both Pinehurst, NC and the Charleston, SC areas. Even more detailed community information can be found under the “Find My Home” tab where you can view available move-in ready homes, view floorplans or look to design your own. 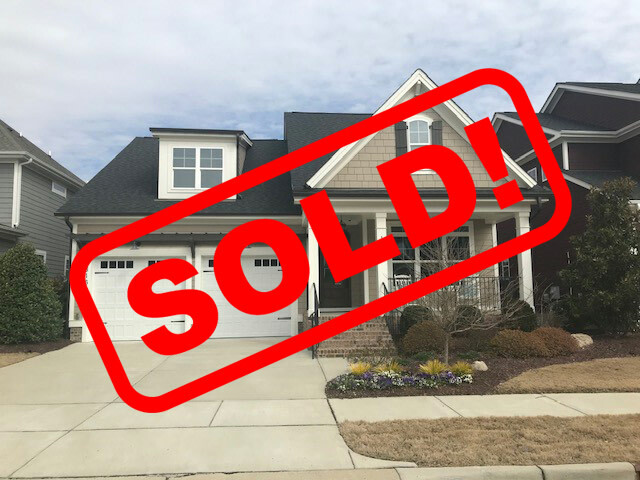 Contact Whitney at 919-205-3404 or Whitney@HomesByDickerson.com to schedule an appointment or private tour. Our process begins with you. Your dreams. Your goals. The Home of Your Life. 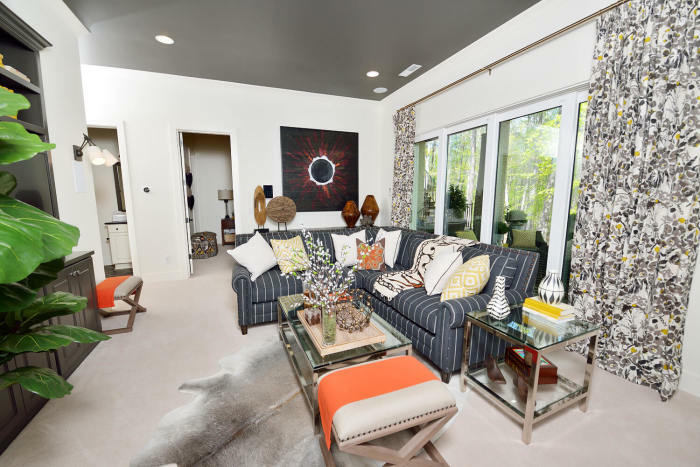 Browse our gallery of homes, become inspired by our floorplans and imagine your life in a Homes by Dickerson custom design. At Homes by Dickerson, we understand the importance of where your home is located, which is why we carefully select the neighborhoods in which we build. We take into consideration surrounding areas, conveniences, and lifestyle. 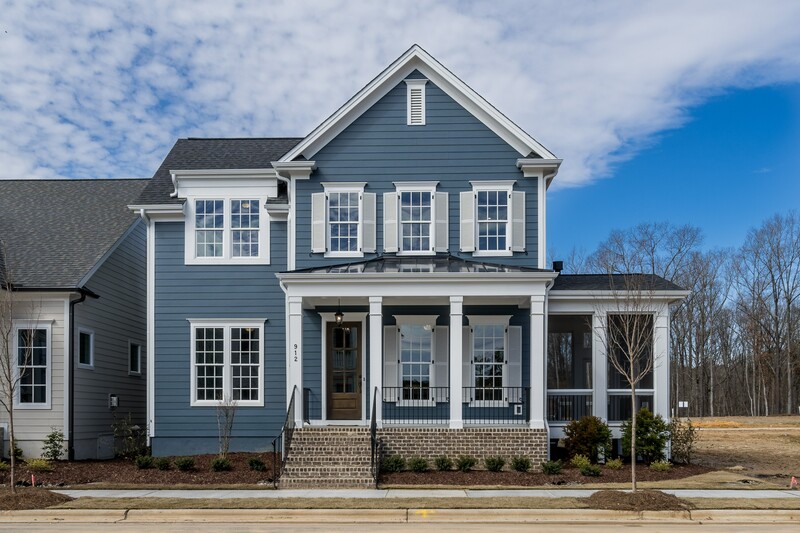 So, whether you want to be closer to the downtown scene, enjoy a shorter commute to the RTP area, or benefit from a larger home site in a tranquil setting, Homes by Dickerson is committed to providing you with the best that the Triangle has to offer. 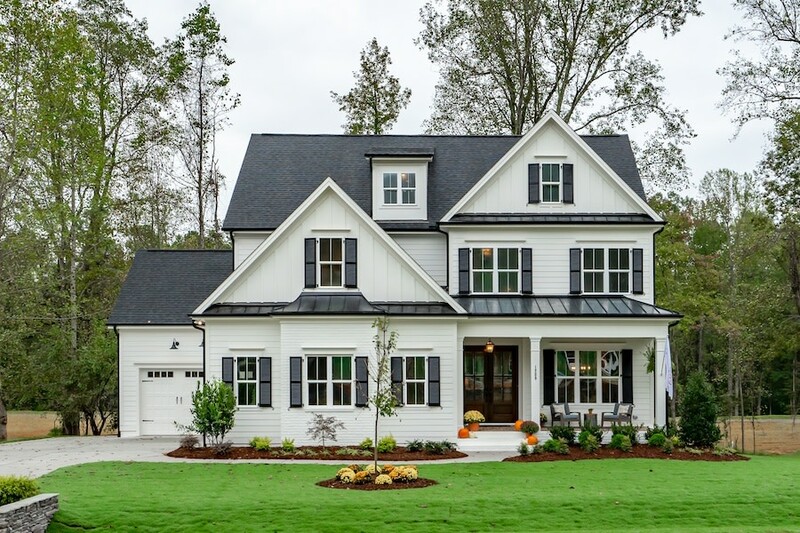 Homes by Dickerson is currently building in Chapel Hill, Durham, Raleigh, Fuquay-Varina, Wake Forest, Wendell, Apex, Pittsboro and Pinehurst in North Carolina and Charleston, South Carolina! 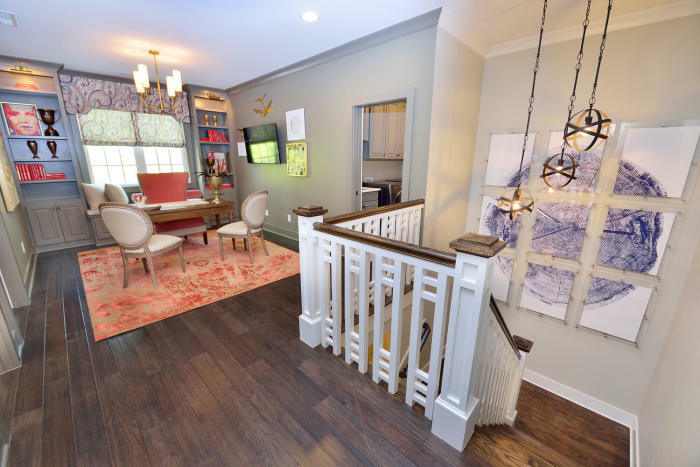 Homes by Dickerson offers three options when it comes to designing The Home of Your Life. At Homes by Dickerson, "building green" is of the utmost importance to our team and our process. 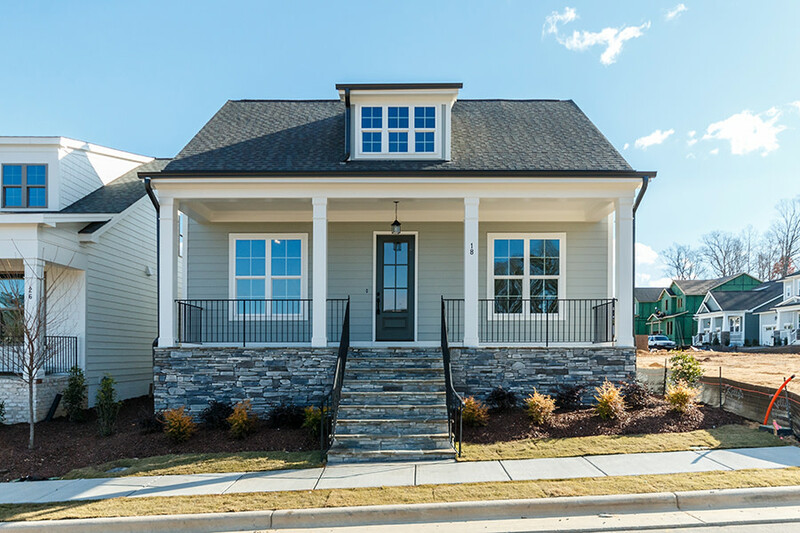 We ensure that each home we build is Energy-Star certified, crafted to the National Green Building Standard, and voluntarily built to the North Carolina HERO Code. Our High Performance Certified Green Homes are so much more than just energy efficient. They offer you peace of mind about your comfort, your health, your money, and your impact on the environment. Now that you have carefully chosen all of the quality features and finished details to go into your new home, you will have the opportunity to review your personalized pricing and specifications. 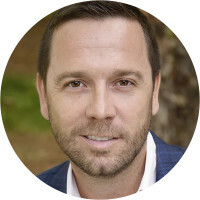 Not only will we give you ideas on how to maximize your self-appointed budget but we will work diligently to stay within that budget during the entire process. Once all the details are finalized, you will be able to review Home By Dickerson's Purchase agreement and ask any questions you may have before signing the contract. To protect all parties, we want to convey all intentions in writing, we will also collect a non-refundable "10%" builder deposit at this time. We want to make sure that we have accurately portrayed your vision. Before your pre-construction meeting, you will receive finalized drawings for your review and approval. This is one of the most exciting steps of the entire process as you choose the colors and finishes which reflect your own personal preferences and lifestyle! You will be assigned a Design Coordinator to guide you through this comprehensive design process located at one of our three Triangle-area design centers. 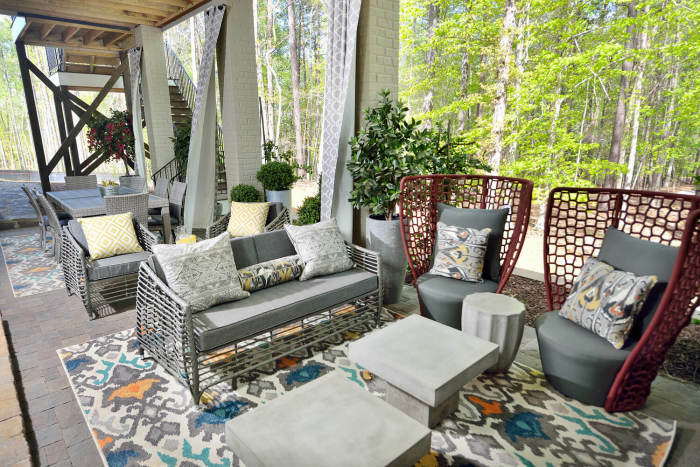 Enjoy up to four meetings with your Design Coordinator as you bring your Homes by Dickerson custom design to life! If you are purchasing a home that is already under construction, your selection process may be limited to those items that have not yet been ordered. A Homes By Dickerson representative will be able to provide you with items that may still be selected. We want to share with you visual progress of your new home! Our sales team will be sending pictures and updates along the journey. From site preparation to your final walk thru, you will experience several opportunities to meet onsite with your project manager. Each of these meetings represents a different milestone in the construction of your new home. Whether it is your electrical walk-thru, or interior trim walk, you will see your home throughout its various stages and be prepared for your homeowner orientation to review final details before closing. Step 10: Welcoming you to The Home of Your Life! Now that you have closed on The Home of Your Life, you will meet with your Client Care Representative who will be able to guide you through the first year as a Dickerson homeowner. Our warranty process includes our three-month and ten-month walk thrus as well as valuable information on homeowner maintenance details. 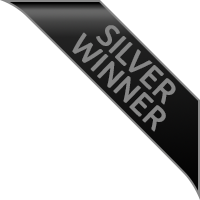 Over the last 10 years, Homes By Dickerson has continued to embrace high-performance green building, earning us recognition as a 2018 National Green Building Standard (NGBS) Green Partner of Excellence, 2018 Major Achievements in Marketing Excellence (MAME) Best Green Home award winner, and a 2018 Market Leader Award from Energy Star. 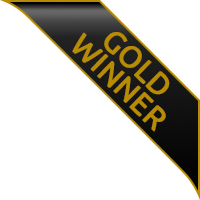 Homes By Dickerson is honored to be a leading high-performance builder with the most single-family homes certified to the NGBS in the country*. As stewards of our client's investment, we are dedicated to providing quality homes that offer savings, health, comfort, and sustainability. Building to the NGBS standard requires more than checking a box for energy standards, it means that our homes are designed and constructed to meet a minimum number of criteria in water efficiency, home site design, sustainable materials, indoor air quality, and homeowner education to achieve certification. 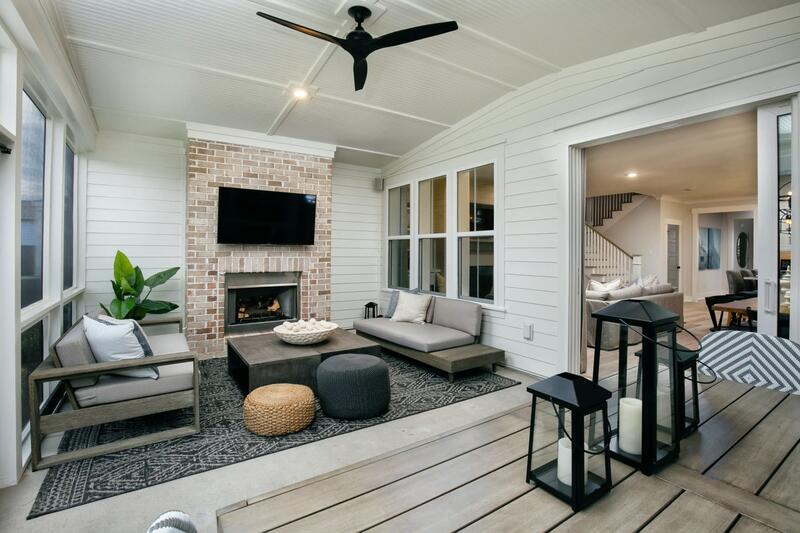 Click here to view Southern Energy Management's page on Homes By Dickerson’s decade-long, high-performance journey and environmental impact! Our High Performance Certified Green Homes are so much more than just energy efficient, they offer its owners peace of mind about their comfort, their health, their money and their impact on the environment. At Homes by Dickerson, we are committed to building each of our custom homes with this philosophy in mind, regardless of price point or location, because it is our passion to be good stewards of our clients' money and to offer them the best options available when it comes to health, comfort and sustainability. 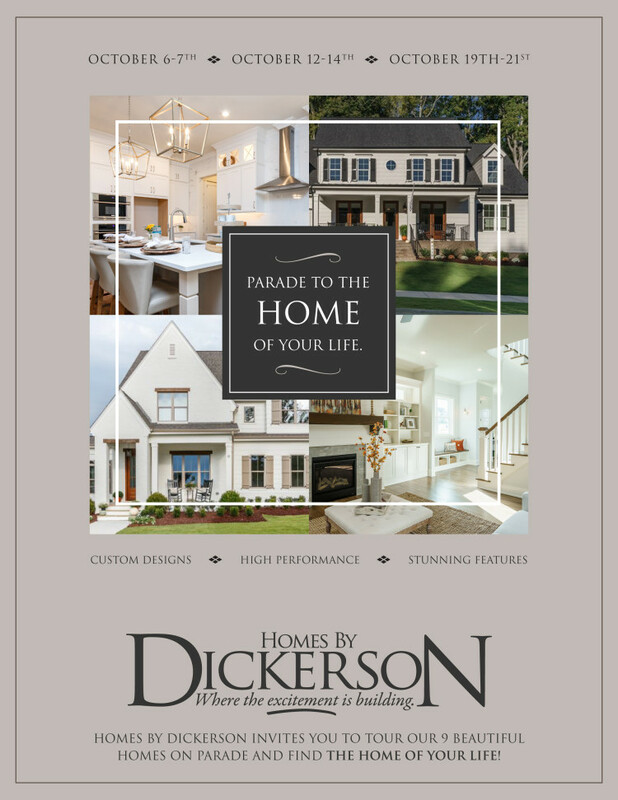 Homes By Dickerson is pleased to announce another successful Parade Season! 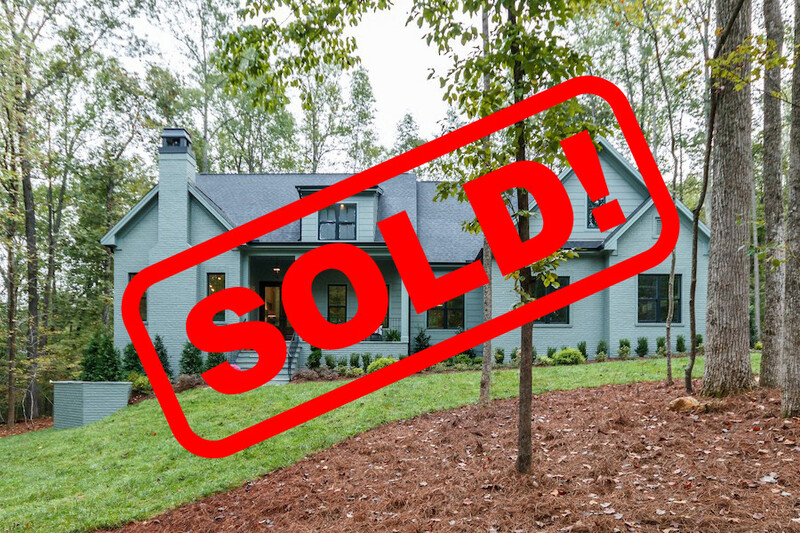 Almost 3000 people toured our nine custom homes, designing and dreaming of The Home of Their Life! A huge thank you to the Home Builders Associations of Raleigh-Wake and Durham/Orange/Chatham for their coordination of this Triangle-wide event which took place the first three weekends of October. 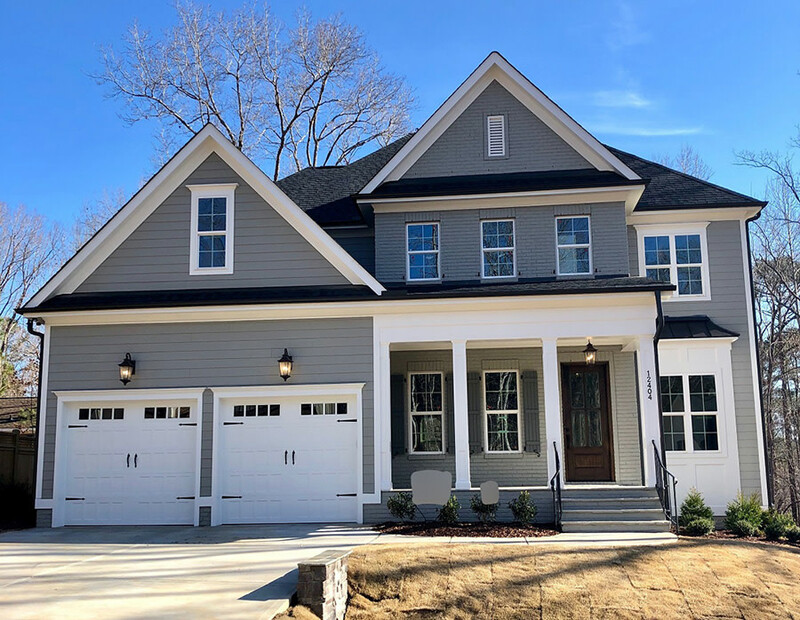 If you were not able to personally walk one of these stunning floorplans, we hope that you will view the photos and video tours below or contact Whitney for a private tour at 919-296-3820 or Whitney@HomesByDickerson.com. “The Home of Your Life”…Today! Move-in Ready! 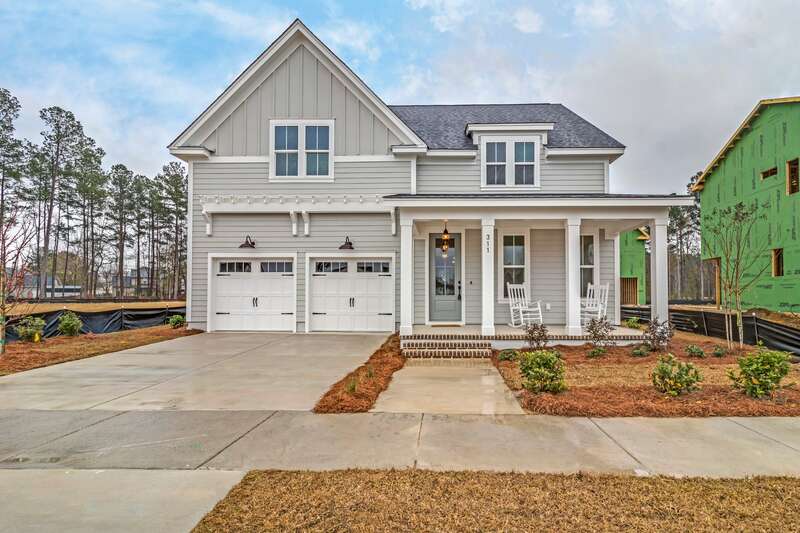 This "Oberlin" green-certified RANCH plan in Briar Chapel by locally-owned Homes By Dickerson features 15x15 master suite w/ large shower & walk-in closet, two guest bedrooms, study, open living space & covered porch all on the 1st floor! Attached 2-car garage in rear. Tankless water heater, sealed crawlspace, granite countertops & custom-quality cabinets & finishes throughout. Enjoy resort-style living w/ trails, saltwater pools, dog parks, fitness center, activities director & more! Move-in Ready! This "Riverton" green-certified ranch-style home is by locally-owned Homes By Dickerson. Main-level living w/ screened porch, study or formal dining, beautiful kitchen w/ island, guest bedroom, large owner's suite, gas fireplace & attached garage. Large guest suite or bonus upstairs w/ ample walk-in storage. Tankless water, sealed crawl & custom-quality finishes throughout. Enjoy Briar Chapel’s resort-style living w/ trails, saltwater pools, dog parks, fitness center & more! Move-in Ready! This "Oberlin" green-certified RANCH plan in Briar Chapel by locally-owned Homes By Dickerson features 15x15 master suite w/ large shower & walk-in closet, two guest bedrooms, study, covered porch & open living space all on the 1st floor! Attached 2-car garage in rear. Tankless water heater, sealed crawlspace, quartz countertops & custom-quality cabinets & finishes throughout. Enjoy resort-style living w/ trails, saltwater pools, dog parks, fitness center, activities director & more! This "Oberlin" green-certified RANCH plan by Homes By Dickerson on corner homesite features 15x15 master suite w/ double shower, two guest bedrooms, study, open living space & back porch all on the 1st floor! Attached 2-car rear garage. Tankless water heater, sealed crawlspace, quartz countertops & custom-quality cabinets & finishes throughout. Enjoy Briar Chapel's resort-style living w/ trails, saltwater pools, dog parks, fitness center, activities director & more! 54 HERS! Move-in Ready! 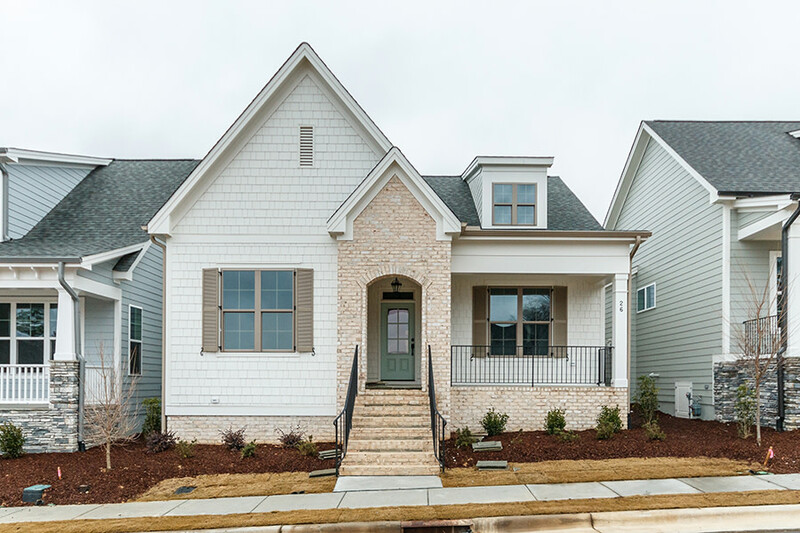 This "Jackson" Craftsman-style green-certified home in Briar Chapel by locally-owned Homes By Dickerson features open plan w/ guest bedroom, Dining/Study, Family w/ gas fireplace, and covered porch on main level. Owner suite upstairs w/ walk-in closet, shower, tub & separate vanities. Two more bedrooms up with bonus space. Tankless hot water, sealed crawlspace & custom-quality finishes throughout. 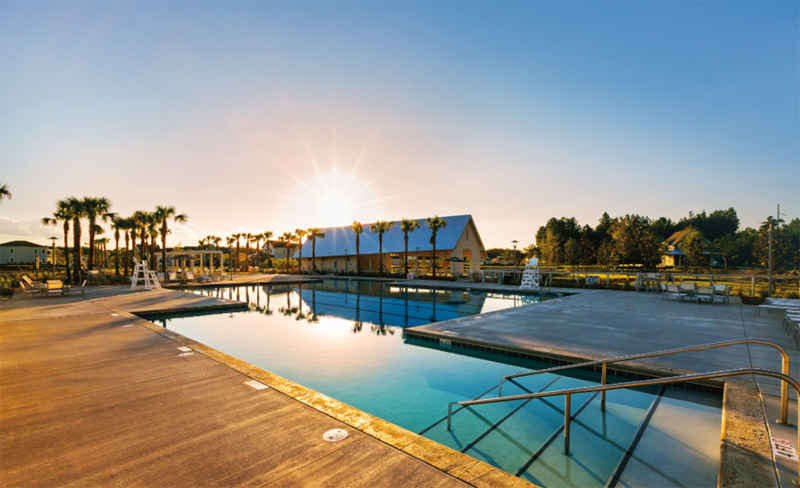 Enjoy resort-style living w/trails, saltwater pools, parks, activities directory & more! Ready in Spring 2019. This Fairfield green-certified home in Ethan's Meadow is by locally-owned Homes By Dickerson. First floor Guest Bedroom w/Bathroom. Covered Front Porch with arched stone Entry into Foyer & formal Dining Rm. Open concept Family, Kitchen, and Breakfast Room. 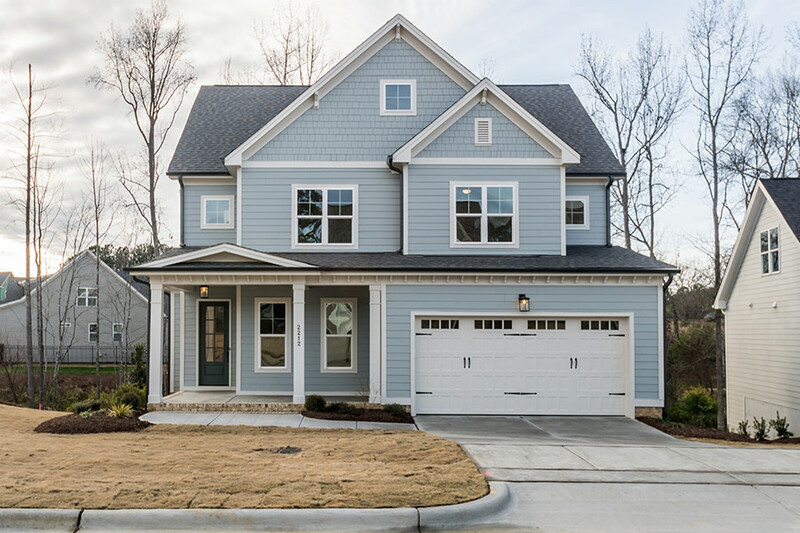 Site-finished hardwoods, tankless water heater, sealed crawl, & custom-quality finishes. Coveted North Raleigh location just off of 98 and Creedmoor! Large home site surrounded by mature trees. Convenient to I-540, RTP, & shopping! 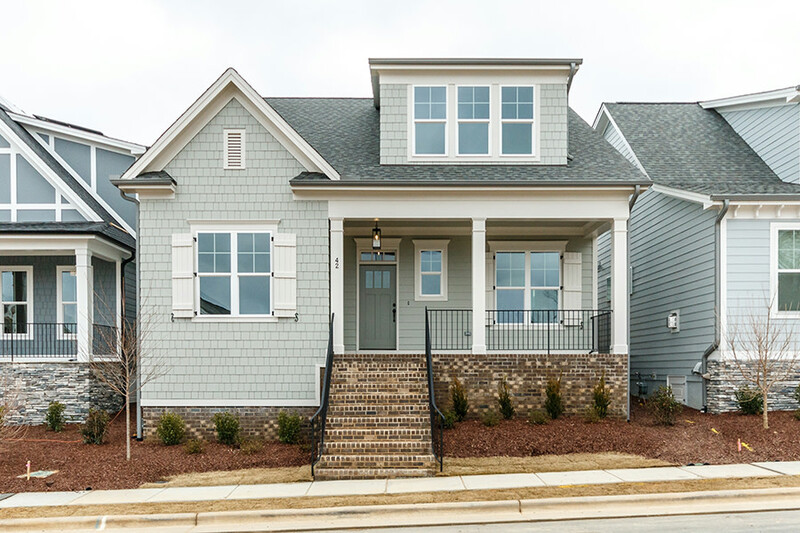 Ready in Spring 2019: This Madison green-certified home in Ethan's Meadow is by locally-owned Homes By Dickerson. Second floor master with walk in closet. Formal dining room with butlers pantry, formal study w french pocket doors. Open concept family, kitchen, and breakfast room. Site finished hardwoods, tankless water heater, sealed crawl, & custom-quality finishes. Coveted North Raleigh location just off of 98 and Creedmoor! Large home site surrounded by mature trees. Convenient to I-540, RTP, & shopping! Move-in Ready! 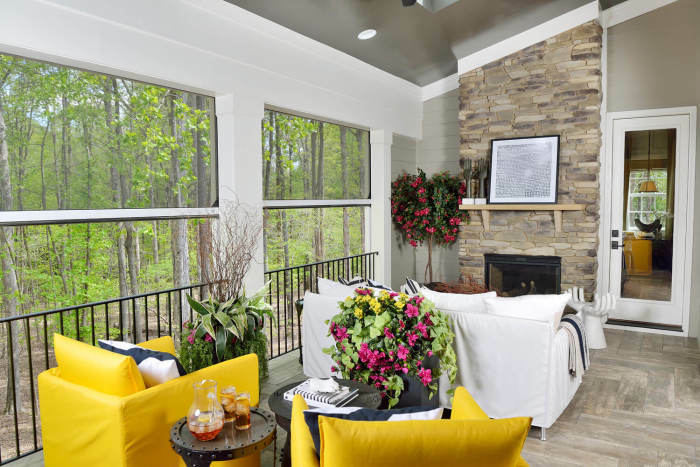 This custom "Shelby" green-certified home by locally-owned Homes by Dickerson is located on a wooded, cul-de-sac homesite in desirable MacTavish. Ranch design features main floor living: large family room, open kitchen/breakfast, screened porch, formal dining, study, and owner's suite all 1st floor. Rec room, 2 guest bedrooms w/private baths and walk-in storage on 2nd floor. Site-finished hardwoods, 3 car garage, 10ft ceilings, tankless hot water, custom built-ins and quality features throughout. This "Bennett" green-certified home in 751 South is by locally-owned Homes By Dickerson. 10' ceilings on the first floor, site-finished hardwoods, master bedroom on the 1st floor, 2nd floor rec room, screened porch! Tankless hot water, sealed crawl & custom-quality finishes throughout. 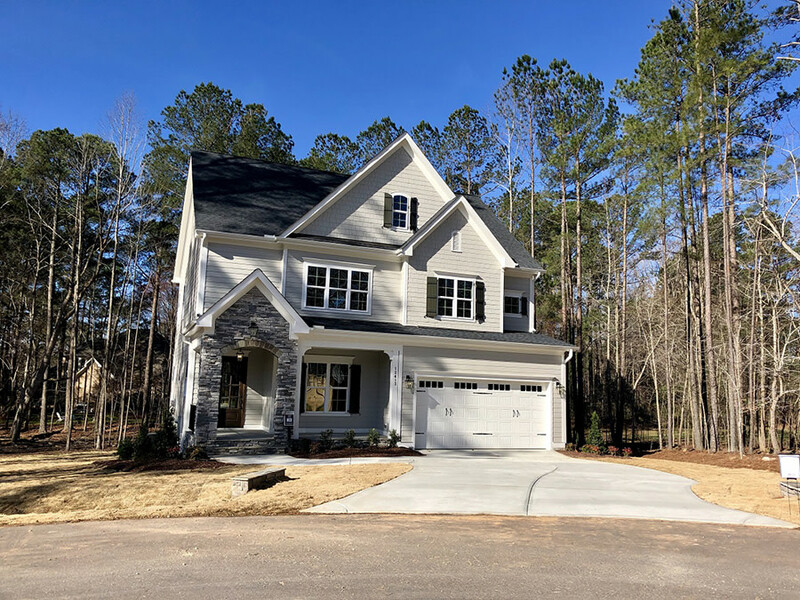 Community is conveniently located only 2 miles from prestigious Southpoint area, only 7 miles from RTP and convenient to Raleigh-Durham International Airport. Amenity center and retail planned for 2020. This "Shepard" green-certified home in 751 South is by locally-owned Homes By Dickerson. 10' ceilings on 1st floor, site-finished hardwoods, master bedroom on the 1st floor, 2nd floor rec room, twilight fireplace, covered porch! Tankless hot water, sealed crawl & custom-quality finishes throughout. Community is located only 2 miles from prestigious Southpoint area & only 7 miles from RTP. Convenient to Raleigh-Durham International Airport. Amenity center & retail planned for 2020. 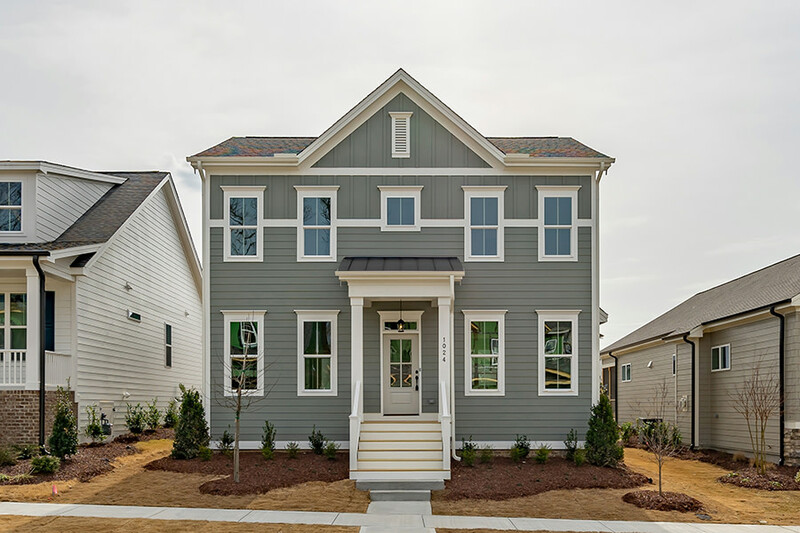 This "Morris" green-certified home in 751 South is by locally-owned Homes By Dickerson. 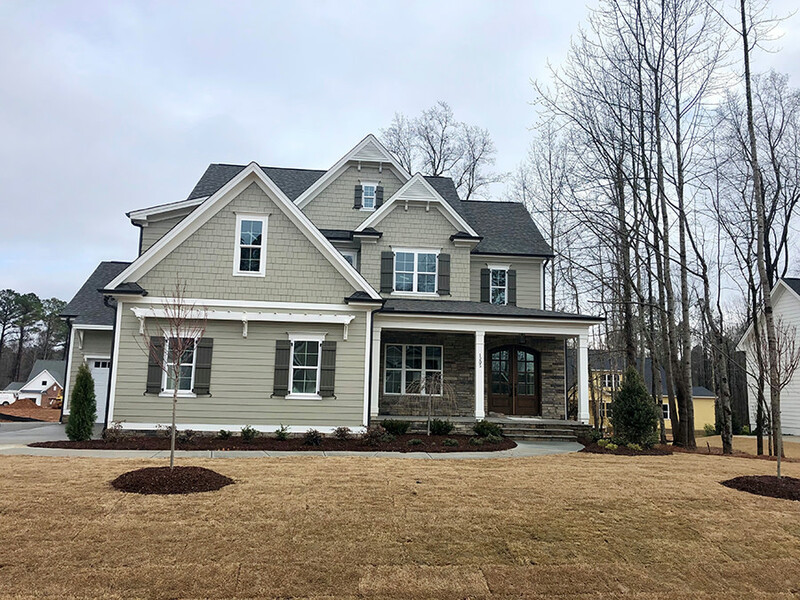 Double front porches, 10' ceilings on 1st floor, pre-finished hardwoods, master bedroom on 2nd floor, walk-up unfinished 3rd floor, covered porch! Tankless hotwater, sealed crawl & custom-quality finishes throughout. Community is located only 2 miles from prestigious Southpoint area & only 7 miles from RTP. Convenient to Raleigh-Durham International Airport. Amenity center & retail planned for 2020. This "Foster" green-certified home in 751 South is by locally-owned Homes By Dickerson. 10' ceilings on 1st floor, open concept main floor, pre-finished hardwoods, quartz countertops, master bedroom on 2nd floor! Guest suite on the main floor! Tankless hot water, sealed crawl & custom-quality finishes throughout. Community is located only 2 miles from prestigious Southpoint area & only 7 miles from RTP. Convenient to Raleigh-Durham International Airport. Amenity center & retail planned for 2020. This "Gregson" green-certified home in 751 South is by locally-owned Homes By Dickerson. 10' ceilings on 1st floor, pre-finished hardwoods, open concept main floor, sunroom, double front porches, master bedroom on 2nd floor! Tankless hot water, sealed crawl & custom-quality finishes throughout. Community is located only 2 miles from prestigious Southpoint area & only 7 miles from RTP. Convenient to Raleigh-Durham International Airport. Amenity center & retail planned for 2020. Move-in Ready! 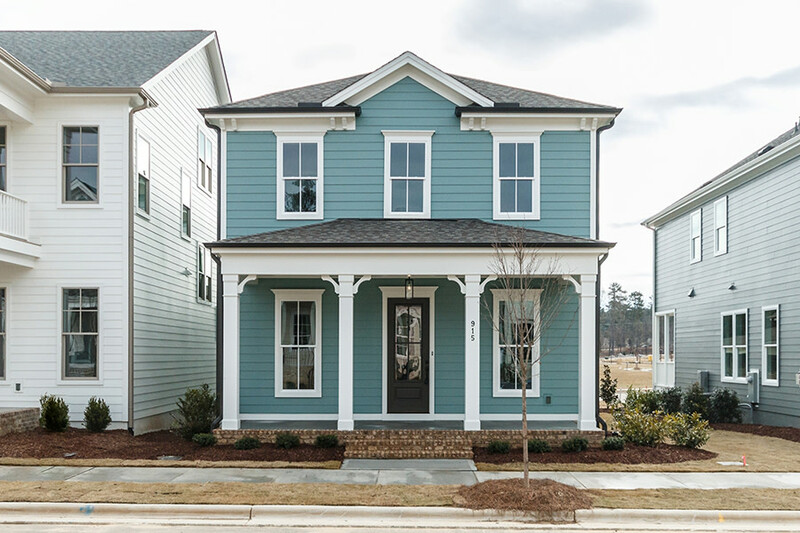 This "Chamborde" green-certified home in Bridgewater at Traditions is by locally-owned Homes By Dickerson. 1st floor features open kitchen/breakfast/family room, formal dining w/wet bar, & private guest rm. Upstairs has owner suite w/beautiful bath, walk-in closet w/direct access to laundry, 2 guest beds & baths, & bonus rm. Ample storage w/3rd bay & walk-up attic. Site-finished hardwoods, bev center, tankless water, sealed crawl & more. Enjoy resort-style living w/trails, pools, parks & more in Traditions Bridgewater! 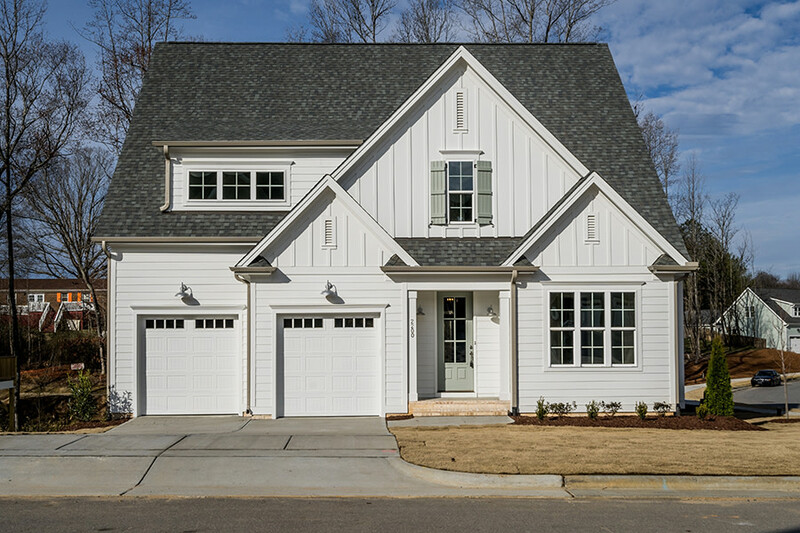 This custom "Oakmont" green-certified home by locally-owned Homes by Dickerson is located in desirable Traditions at Wake Forest. 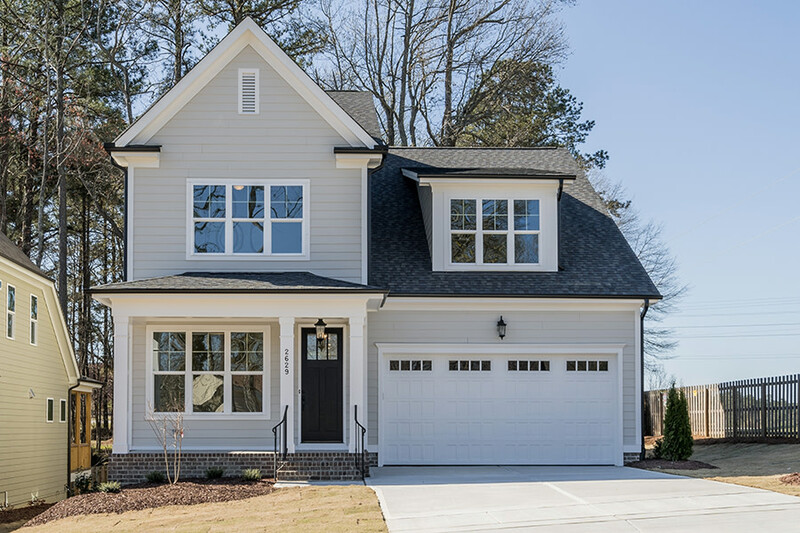 The Oakmont features main floor living: large family/kitchen/breakfast, screened porch & grilling deck, formal dining, study, & guest suite, owner's suite all 1st floor. Rec room, 2 guest bedrooms w/shared bath & walk-in storage on 2nd floor. Site-finished hardwoods, 3 car garage, 10ft ceilings, tankless hot water, custom built-ins & quality features throughout! Move-in Ready! 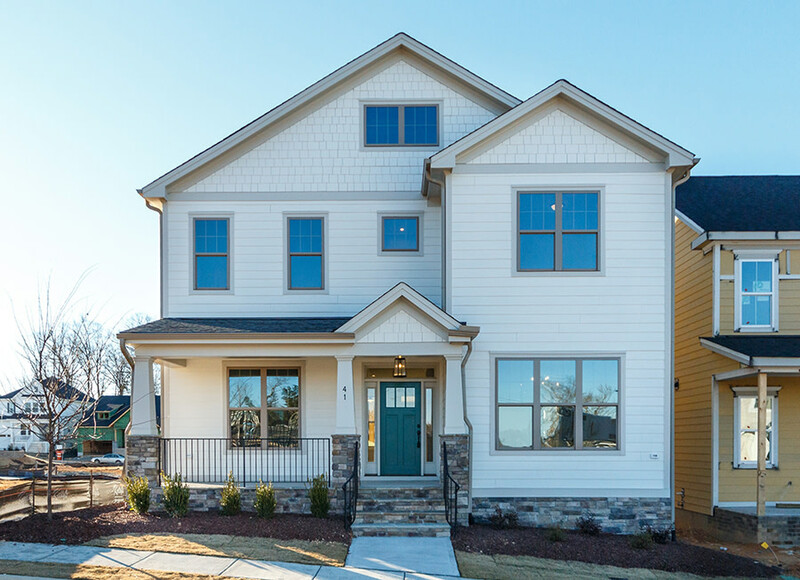 This "Bristol" green-certified home is by locally-owned Homes By Dickerson. 1st floor features guest bedroom, formal dining, open kitchen w/ breakfast and access to screened porch with WOODED views. 2nd floor features owner's suite w/large bath & walk-in closet, spacious bonus, two bedrooms w/ guest bath and laundry. 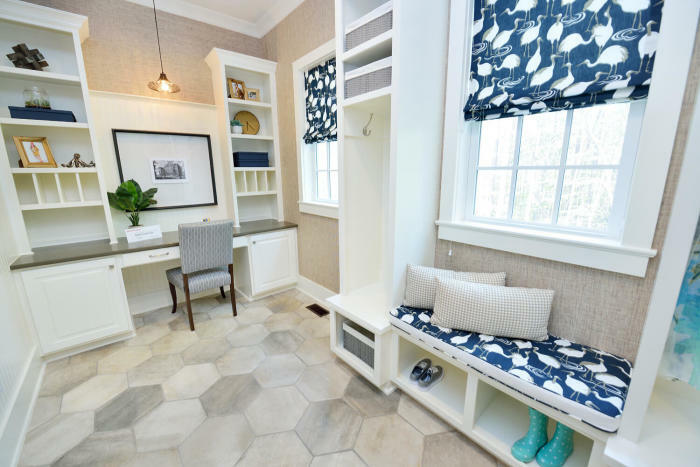 Walk-up attic provides ample storage or room to add bedroom & bath. Site-finished hardwoods, tankless water, sealed crawl, & custom-quality finishes throughout. Move-in Ready! Ranch plan, double-sided fireplace w/stone surround on screen porch, bonus room, guest suite on 2nd floor. 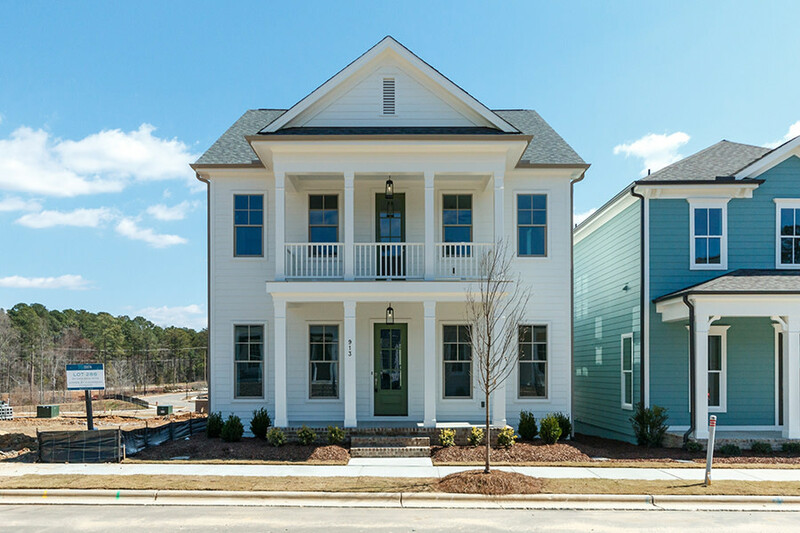 Enjoy resort-style living w/ trails, saltwater pool and more in Wendell Falls! Move-in Ready! 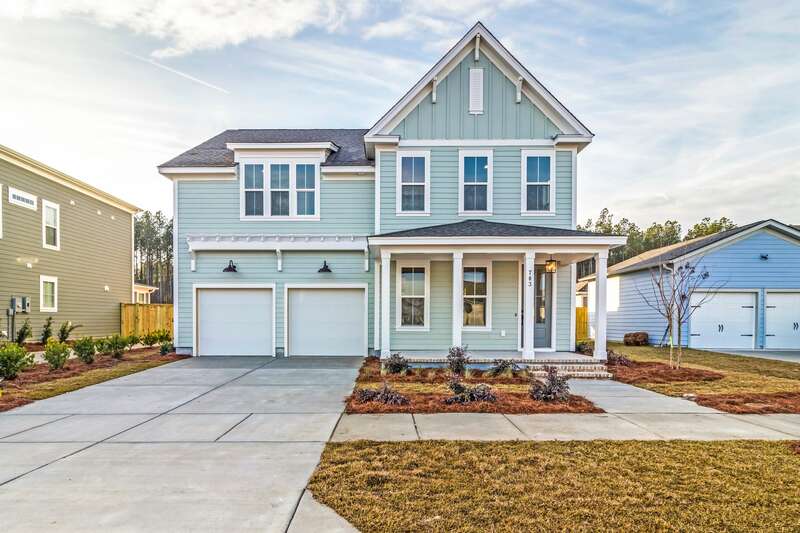 This "Preston" green certified home is built by locally-owned Homes By Dickerson and features hardwood floors, granite counters, screened porch, fireplace & more. Open kitchen and living spaces with a study on the main floor. 2nd floor has a master suite and 2 additional bedrooms. Tankless hot water, sealed crawl space, with access to a clubhouse, saltwater pool, parks and playgrounds. Move-in Ready! Energy Star/Green Certified! SealedCrawl! Tankless H20 Heater! Hardwood Style Flooring Thru Main Living! Kitchen: Granite CTops, TileBackSplash, Custom Cabs, Island w/Breakfast Bar, SS Appliances, WalkIn & Butler's Pantry! Master: Plush Carpet, Triple Window, & Huge WalkIn Closet! 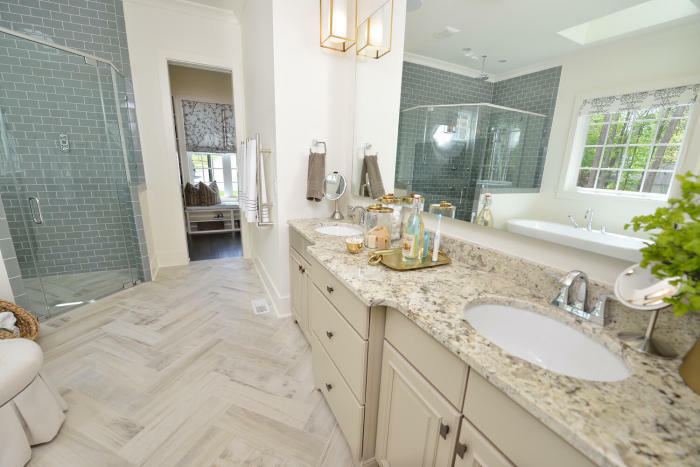 MasterBath: Tile Floor, Dual Vanity w/Quartz CTop, Custom Cabs, Garden Tub, & Tile Surround Shower w/Bench! FamilyRoom: Surround Gas Log FP, Triple Window, & Door to Screened Porch & Patio for Outdoor Living! 1st Floor Guest Suite! Sealed & Conditioned Crawl! Tankless Water Heater! Hardwoods in Main Living Areas! Kit: Granite Cntrtops, Cstm Pntd Cabs w/Soft Close Doors, Double Trash Pull Out, Center Island w/Breakfast Bar, Stainless Stl Appls; Range, MW & DW, Walk In Pantry, Btlrs Pantry! FamRm: Tile Srnd GasLogFP w/CstmMntle, Quad Wndw! MBR: TreyCeilg, Crpt! 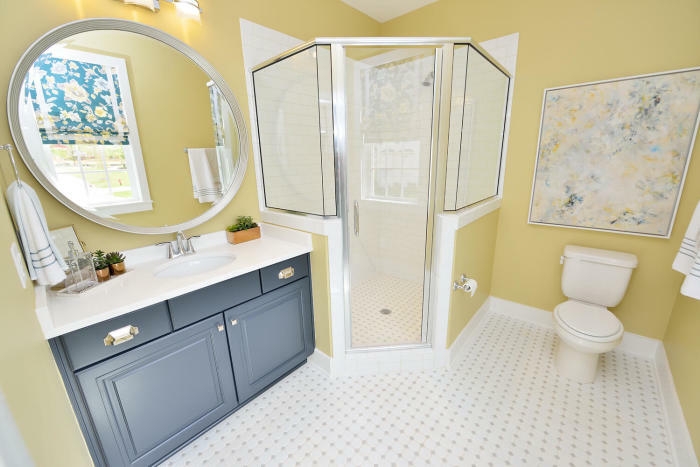 MstrBth: TleFlr, Dual Vanity w/Designer Ctop, Cstm Cabinets, Soaking Tub, & Sep Tile Srnd Shwer! Mudbench w/Shiplap Accent Trim! 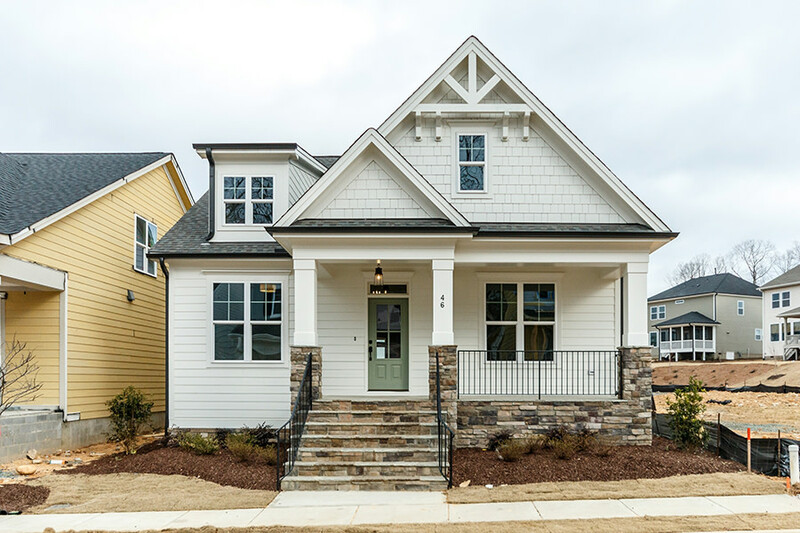 This "Jacob" green-certified, high-performance home is by locally-owned Homes By Dickerson. Move-in ready, this home features a study, formal dining room, and open family/breakfast/kitchen with a screened porch all on the main floor. The second floor has a large master suite with a walk-in closet, dual vanities and soaking tub. Two other bedrooms, large rec room and a guest bath finish out the 2nd floor. Unfinished storage on the 3rd floor. 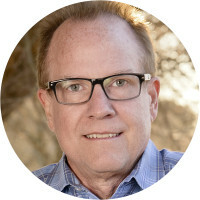 Why would you be a good fit for Homes by Dickerson? Tell us about your attention to detail. 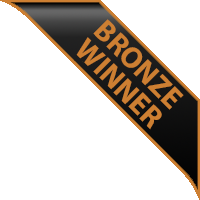 Share a time when you went above and beyond for a client and/or co-worker. We want our clients to have the best experience when building and purchasing their new home with Homes by Dickerson. We partner with the best lenders in the Triangle to offer an array of financing programs to meet your needs and goals. We want our clients to have the best experience when building and purchasing their new home with Homes by Dickerson. We partner with the best lenders in the Charleston area to offer an array of financing programs to meet your needs and goals. 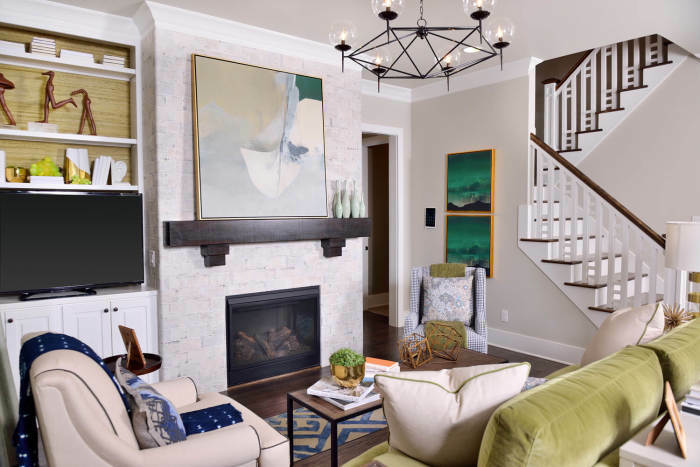 We at Homes By Dickerson are proud to have been the builder for the HGTV Smart Home 2016! The public launch of this custom-designed home combined our passion for high-performance, green efforts and the latest tech inclusions. HGTV Smart Homes are in a class of their own and we could not have been more thrilled to be a part of this exclusive list of home builders. The homes are known for their clever construction incorporating advanced technology, gadgets and smart solutions to enhance entertaining and everyday living. 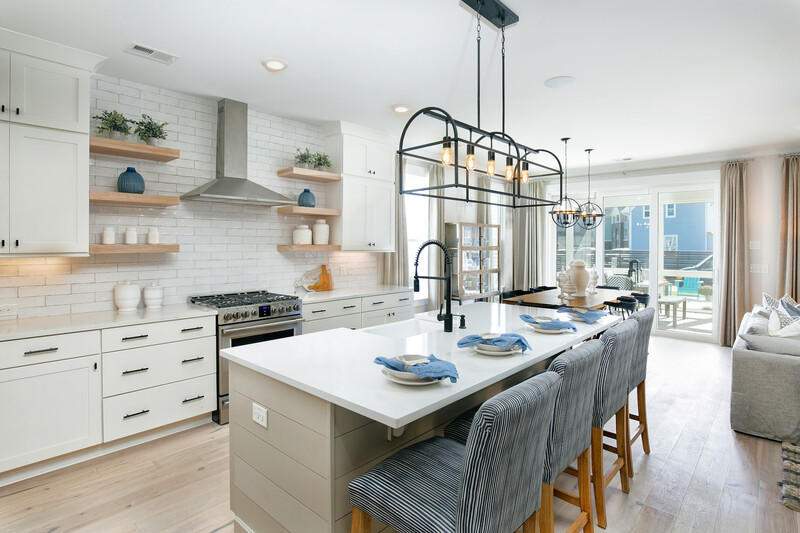 Designers, architects, and builders from both HGTV and Homes by Dickerson worked together to carefully plan every detail of the custom construction to ensure this home is highly innovative and energy efficient for the tech-savvy homeowner. 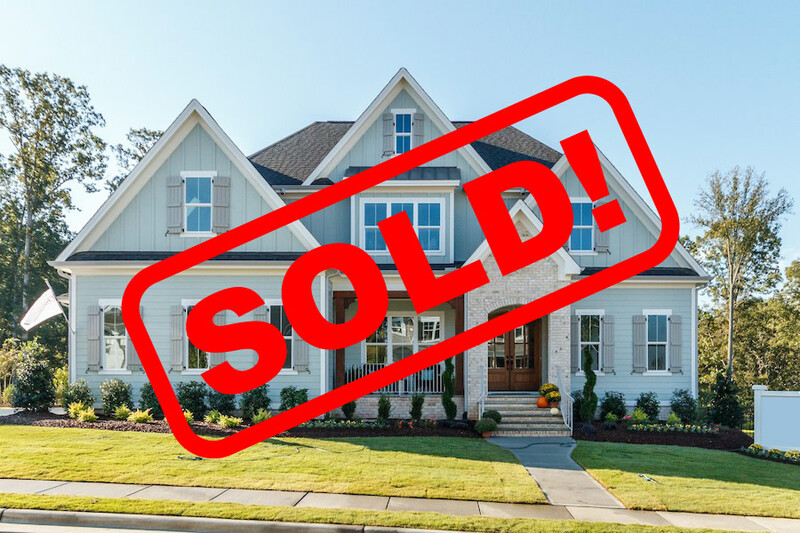 The Homes by Dickerson plan chosen is a three-level traditional craftsman home boasting approximately 3,300-square-feet with four bedrooms and five bathrooms. 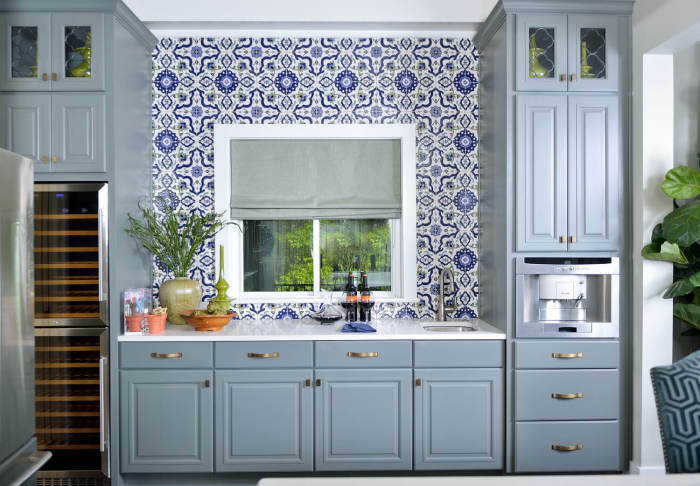 HGTV Smart Home 2016 host and interior designer Tiffany Brooks brought touches of rustic oak, metals and stone to the design and combined them with a cool color palette that provides an unexpected contrast of traditional materials juxtaposed with modern and eclectic touches. 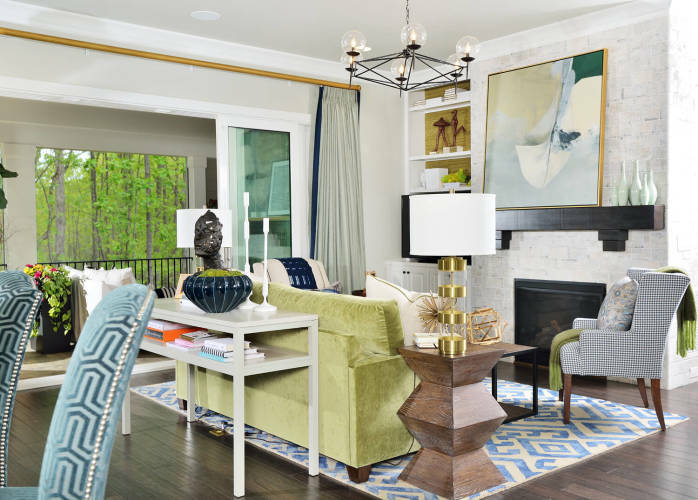 In addition, she sourced art and sculpture from many of Raleigh’s local talent to further extend the custom flair of this stunning home. The floorplan features three levels that provide plenty of room to either spread out or gather for family fun. The main level includes a master bedroom suite, open kitchen, dining room, living room and screened porch. Downstairs, the home includes an additional bedroom suite as well as a media room and exercise room. Completing the layout, the upper level boasts a home office and two additional bedrooms. 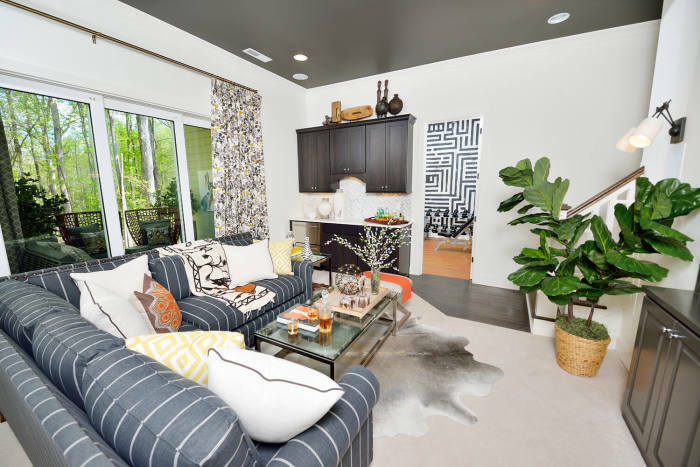 This fully-furnished HGTV Smart Home 2016 is Energy Star 3.0 and Bronze-level Green certified, featuring products from some of the top national brands. 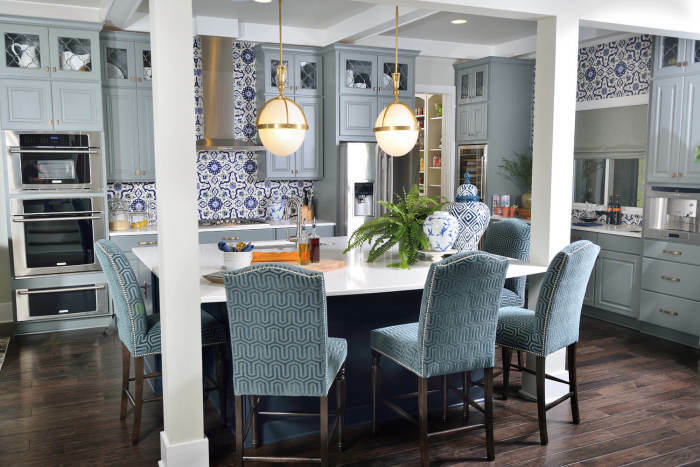 It is no wonder that Raleigh was chosen to be the 2016 destination for the HGTV Smart Home search as the city itself, a center of Southern culture and home of Research Triangle Park, is the perfect balance between artistic design and cutting-edge technology. 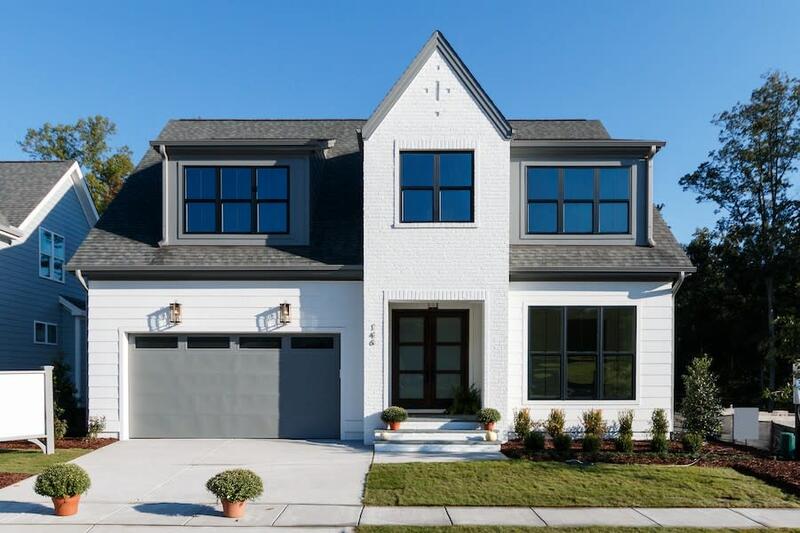 This custom-built neighborhood, exclusively developed by Homes by Dickerson, boasts a coveted location in North Raleigh just off Glenwood Avenue at Pinecrest Road. 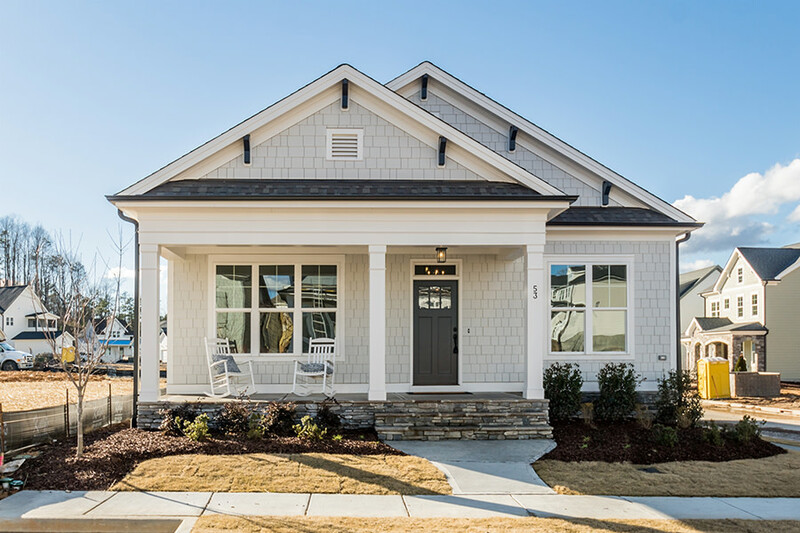 Haywood features 26 home sites featuring single-family homes starting from the low $700s and offers unique plans with distinctive design elements, large porches, outdoor living spaces and much more. 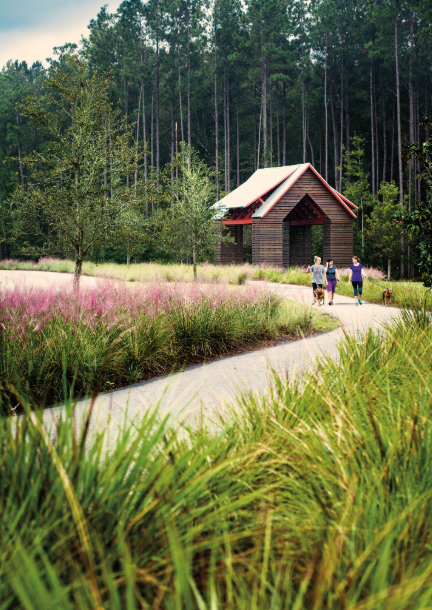 The eye-catching community entrance leads you to sprawling oak trees and southern-inspired elevations. Take advantage of our heavily-wooded and basement home site opportunities while you still can! Meetings are currently by appointment. 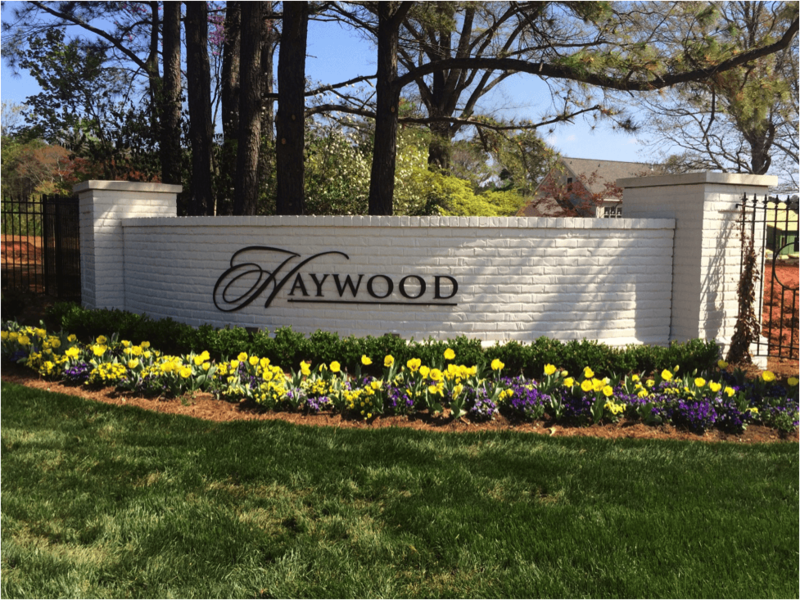 For more information on Haywood or any of Homes by Dickerson’s homes and communities, please contact us at 919.205.3404 or info@homesbydickerson.com. 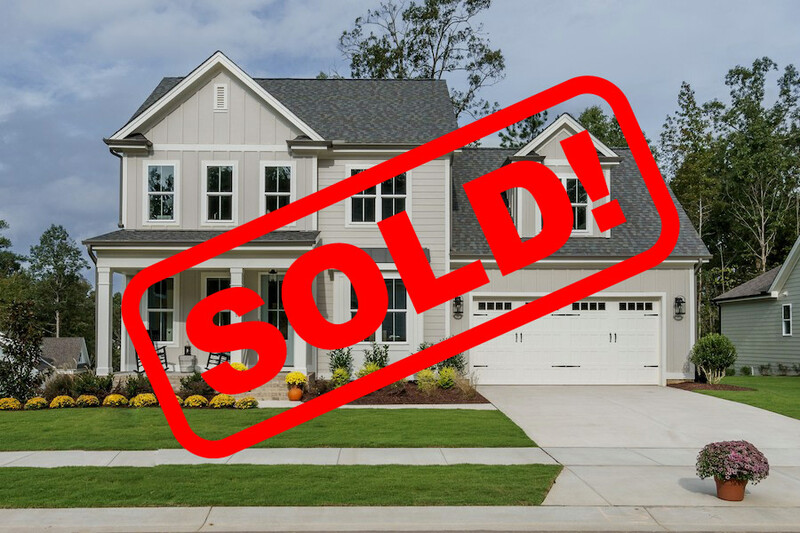 Homes By Dickerson offers homes in the communities of Haywood, Raleigh; Barton’s Grove, North Raleigh; Sunset Bluffs, Fuquay-Varina; Henderson Place at Fearrington, Pittsboro; Traditions, Wake Forest; Briar Chapel, Chapel Hill; Madison at Evan’s Creek, Apex; Wendell Falls, Wendell; MacTavish, North Raleigh; and Croasdaile Farm in North Durham. Visit Homes By Dickerson's profile on Pinterest. Thank you for your interest in Homes By Dickerson. We will contact you shortly.